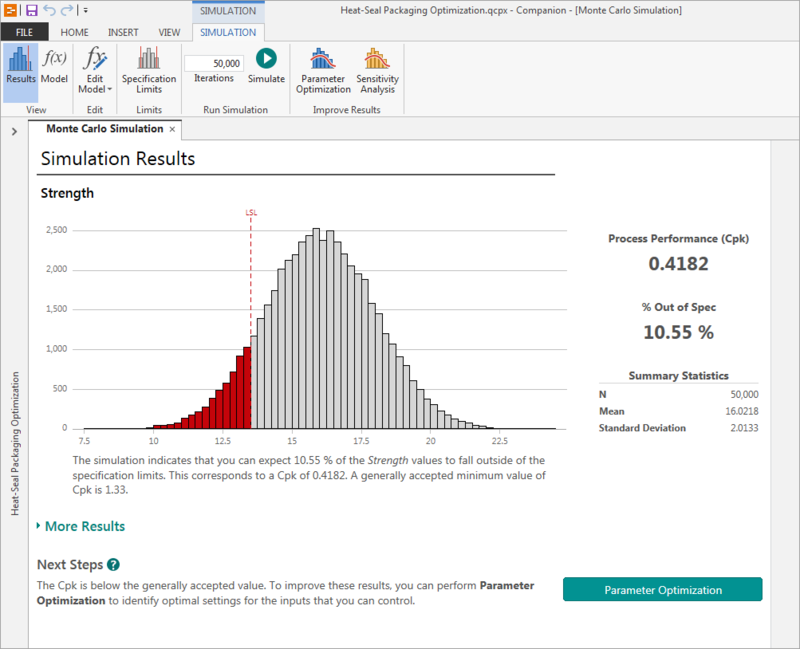 If you have a process that isn’t meeting specifications, using the Monte Carlo simulation and optimization tools in Companion by Minitab can help. Here’s how you, as an engineer in the medical device industry, could use Companion to improve a packaging process and help ensure patient safety. 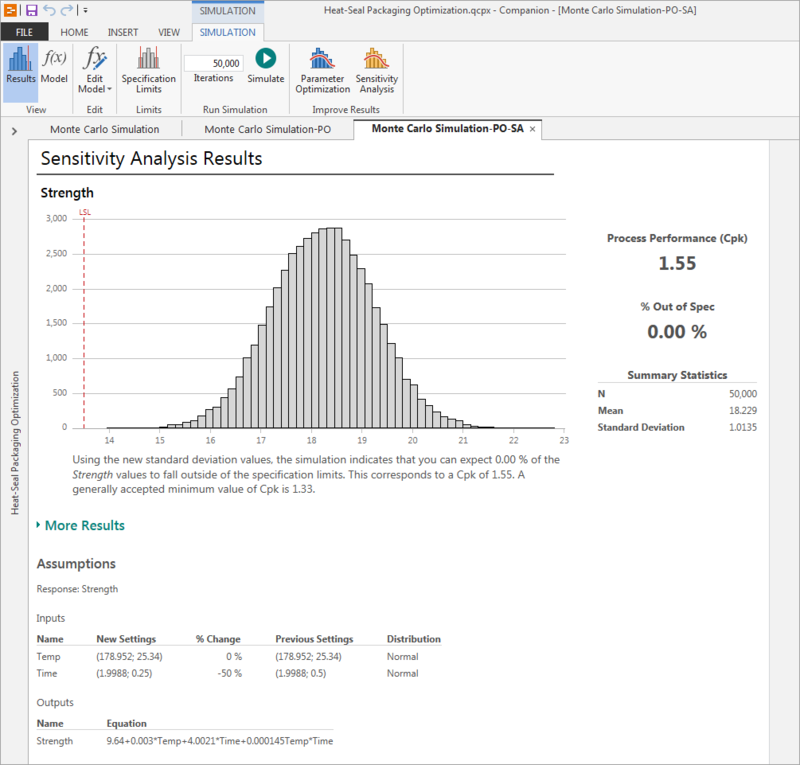 You can also check out our webinar recording, Seeing the Unknown: Identifying Risk and Quantifying Probability with Monte Carlo Simulation, to see Monte Carlo in action. 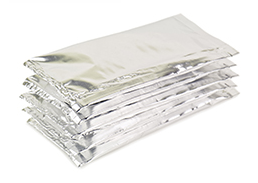 Your product line at AlphaGamma Medical Devices is shipped in heat-sealed packages with a minimum seal strength requirement of 13.5 Newtons per square millimeter (N/mm2). Meeting this specification is critical, because when a seal fails the product inside is no longer sterile and puts patients at risk. Currently, your packages are sealed at an average temperature of 120 degrees Celsius, with a standard deviation of 25.34. The mean sealing time is 1.5 seconds, with a standard deviation of 0.5. Both parameters follow a normal distribution. 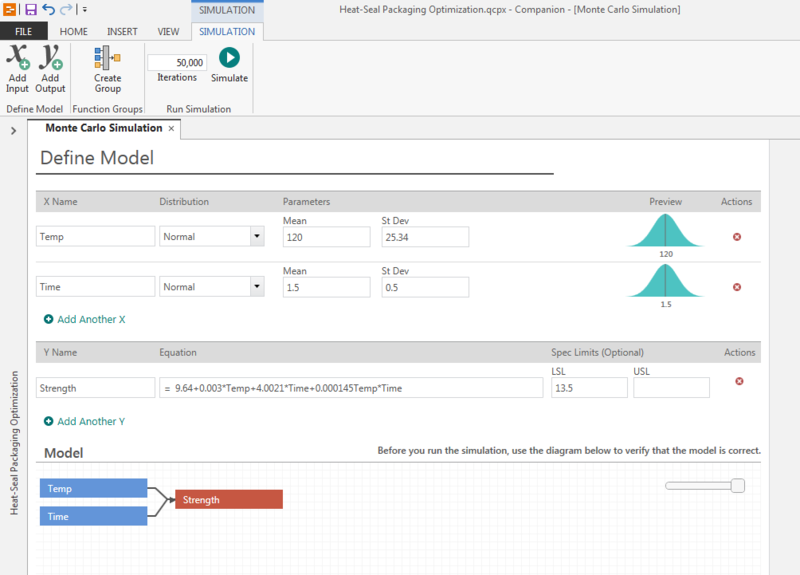 To assess the process capability under the current conditions, you can enter the parameter, transfer function, and specification limits into Companion’s straightforward interface, verify that the model diagram matches your process, and then instantly simulate 50,000 package seals using your current input conditions. The process performance measurement (Cpk) for your process is 0.42, far less than the minimum standard of 1.33. Under the current conditions, more than 10% of your seals will fail to meet specification. Companion’s intuitive workflow guides you to the next step: optimizing your inputs. You set the goal—in this case, minimizing the percent out of spec—and enter high and low values for your inputs. Companion does the rest. After finding the optimal input settings in the ranges you specified, Companion presents the simulated results of the recommended process changes. The simulation shows the new settings would reduce the amount of faulty seals to less than 1% with a Ppk of 0.78—an improvement, but still shy of the 1.33 Ppk standard. 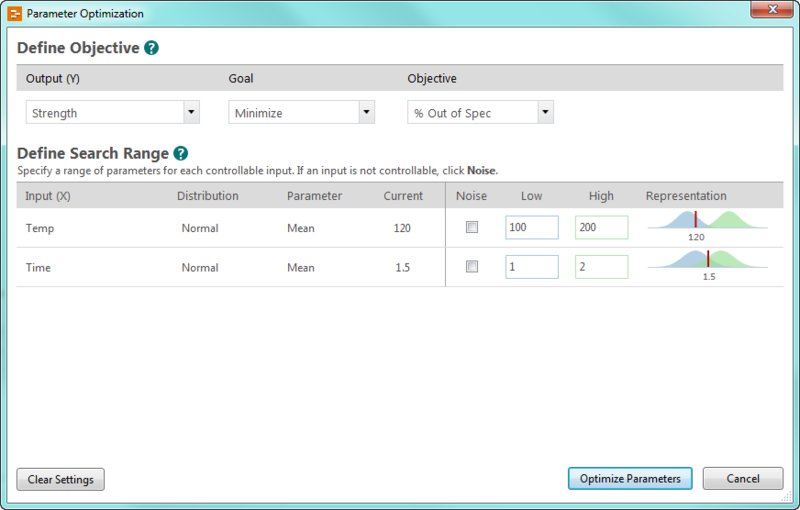 To further improve the package sealing process, Companion then suggests that you perform a sensitivity analysis. 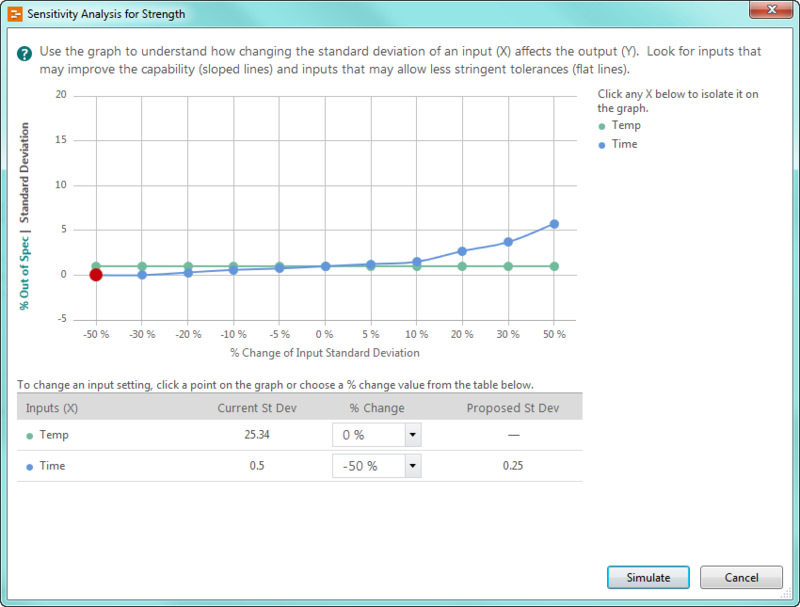 Companion’s unique graphic presentation of the sensitivity analysis provides you with insight into how the variation of your inputs influences seal strength. The blue line representing time indicates that this input’s variability has more of an impact on percent of spec than temperature. The blue line also indicates how much of an impact you can expect to see: in this case, reducing the variability in time by 50% will reduce the percent out of spec to about 0 percent. Based on these results, you run another simulation to visualize the strength of your seals using the 50% variation reduction in time. The simulation shows that reducing the variability will result in a Ppk of 1.55, with 0% of your seals out of spec, and you’ve just helped AlphaGamma Medical Devices bolster its reputation for excellent quality. Figuring out how to improve a process is easier when you have the right tool to do it. 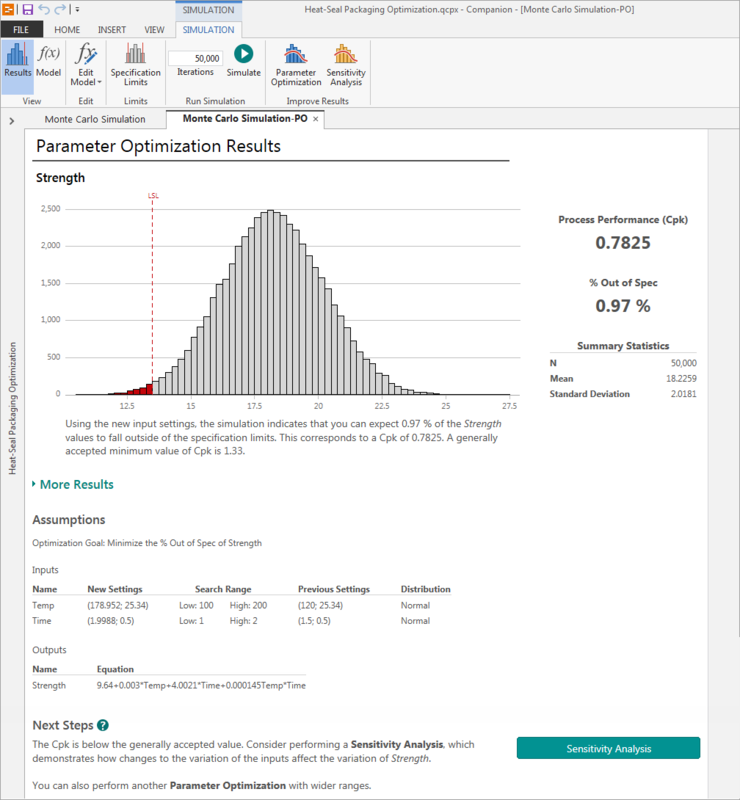 With Monte Carlo simulation to assess process capability, Parameter Optimization to identify optimal settings, and Sensitivity Analysis to pinpoint exactly where to reduce variation, Companion can help you get there.